Hello everyone! It’s a been since I introduced you to someone so here I am back with another interview of an amazing author Annamaria Marta Furedi. 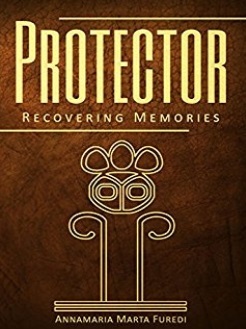 She has recently released her new book which is titled as Protector: Recovering Memories. Let’s get to know her & her book in a better way! – Basically, who is your protagonist? I am the protagonist. Not as Annamaria but as a soul, coming back into this terrestrial plane in various new roles and forms. I had to live as a poor peasant and as a king, as a guardian and as a robber, as a merchant and as a slave, as a prostitute and as a soldier, as a mother and as a father innumerable times. – You had male and female lives? Yes, mostly male lives. I have female incarnations since about the fifteenth century. Before that I had male lives for thousands of years. – You say you’ve collected more than seventy incarnation episodes. 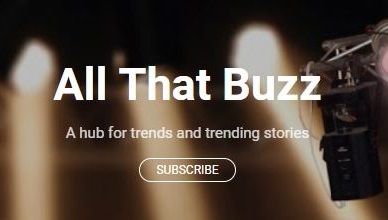 Are there more? Unwritten ones? – Could you tell me how these memories emerged? The first two incarnation stories had been revealed during the hypnosis seating. Then the story of the prince followed them a year or two later. But, these memories had been present all my life, only I didn’t know they belong to past incarnations! I mean, I wrote a lot of poems and looking at them afterwards I can pick parts that relate to certain past experiences. This might be the case with several writers, singers, movie makers, too. Old motifs keep surfacing, knowing or not. – Tell me more about the Protector trilogy. It is the collection of the past incarnations that I collected after a particularly upsetting regressive hypnosis session. They are my posthumous memoirs if you like. (smile) I sorted them into three volumes. The first covers the oldest incarnations, the second is one episode with plenty of details. The third contains the incarnations that followed the second volume’s episode up to my actual life. – What is it like to live together with so many memories? Strange. Honestly, part of me is grateful, or at least I learned to feel grateful. (laugh) Really, sometimes it is challenging. It happens that I miss the people and the places I knew… Losing the loved ones, I mean the knowledge you have lost them comes with the feeling of mourning, inevitably. Fortunately I have enough to-dos and I don’t have much time to dwell on such things. And I know we are tied anyway. – Are you doing past life reading? Sometimes, for friends or relations, yes. But only when I’m asked. – How these memories influence your days? Um, normally I don’t mind them as I have to focus on my daily work. But, they are always present in the back of my mind. It’s like having tons of plus life experience. Often they give me inspiration, or motivation. – You have a kind of project connected to the book, right? Yes. I am learning data science and I just had the idea that it would be great to visualize the connections I discovered. The project is about to summarize and analyze the stories of the trilogy, like a sort of case study. Fortunately, I have a few helpers and we apply data visualization technologies and interactive charts to display the results. A map and a graph is already available on my site, but there are many more on the way. – We read that you have left your body during that liver transplantation operation. Would you tell us a few words about it? What your near death experience was like? Yes, I had an out-of-body experience, you know, the classical NDE. I saw myself from above and later I saw the building and the nearby streets. It was deep night, and with the lights on the sight was quite beautiful. I don’t remember meeting God or any angels but I remember that all-pervading happiness and lightness. I never felt anything like it before. – What are your goals now? To sell the movie script and become a millionaire…. No, really, I’d like to work for the animals or for the people who need my help. Also, I’d like to progress with learning more about statistics and meditation, I’d like to go and visit my friends in Japan, and mostly, to repay my parents’ debt, and to build a shelter for unwanted turtles. I have a lot of plans, you see? There is a lot left to do. Living idly is not for me, I like to feel being useful, you know.